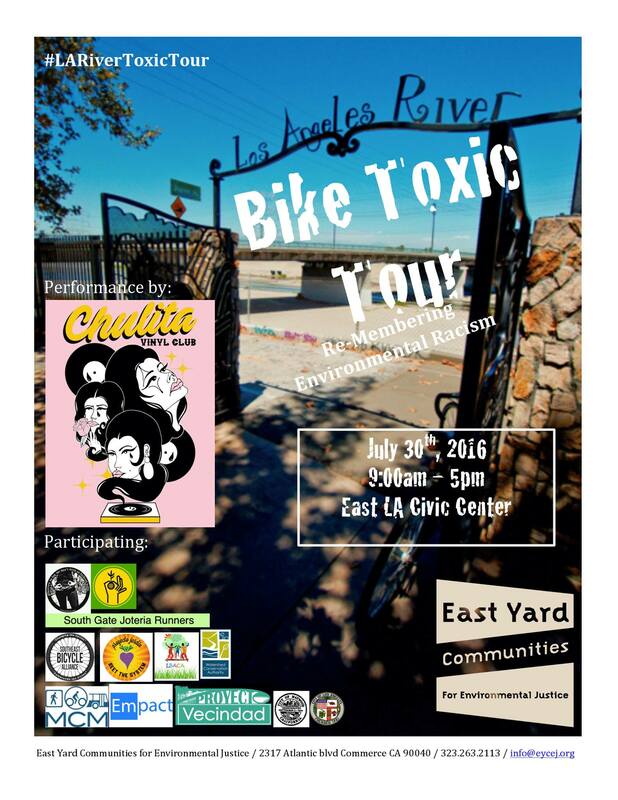 EYCEJ’s Ride on All Roads (ROAR) is a bicycle program developed by the organization’s youth leadership. 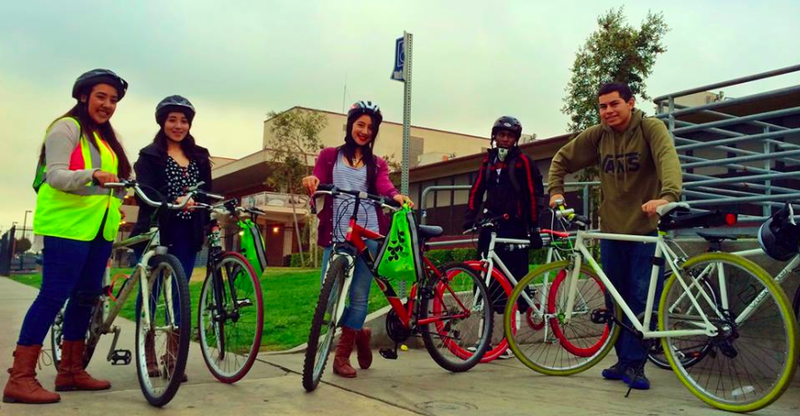 ROAR focuses on activities that promote pedestrian and bicycle needs in the truck-dense I-710 corridor communities. Through advocacy and direct action, EYCEJ youth are promoting community heath and safety where they live, learn, work, and play. 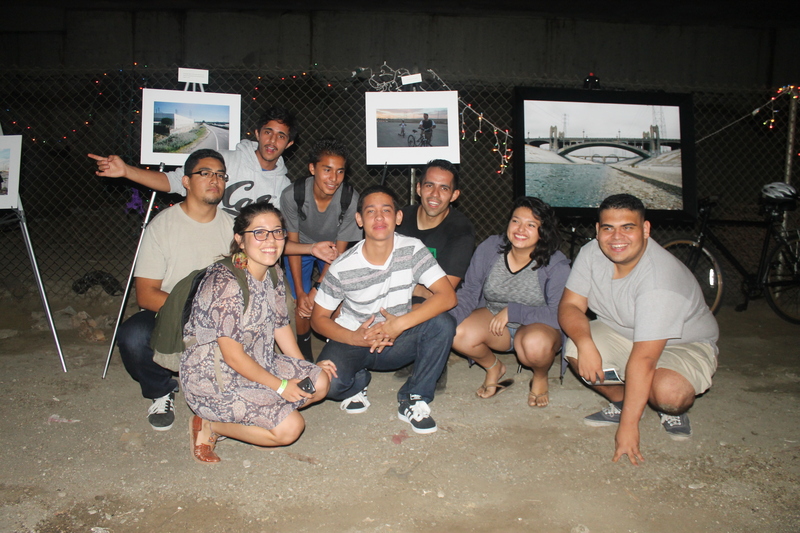 The photo are of our youth members that met at Bell Gardens High School to ride more than 16 miles along the LA River trail to Progress Park in Paramount, where the first I-710 Project Committee (PC) meeting of the year was being held. East Yard youth attended the PC meeting in order to advocate for the community benefits of the Community Alternative 7, which include improvements to pedestrian and bicycle infrastructures along the I-710 Corridor. 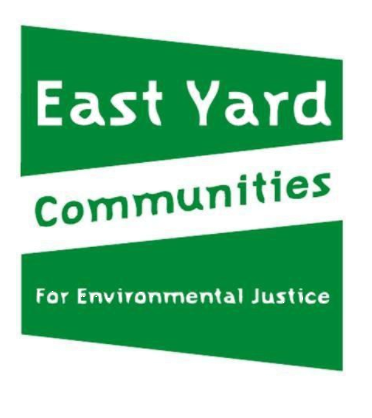 Visit our blog to read all about the bicycle ride to the l-710 Project Committee meeting: East Yard Youth Advocate for Bicycle Infrastructure. Join us as we ride down the LA River Re-Membering stories of fights against environmental racism and other forms of injustice in our communities along the LA River. Throughout the ride we will re-member sites like Belvedere Park, East LA, Sleepy Lagoon, Fwy divisons, rail yards, and discuss the historical significance to communities of color as sites of resistance and push for survival. Because we live in these communities, we know that the fight still continues. For this reason, we will highlight work being done to address injustice across the river. Nov. 21: Turkey Cycle along the LA River more information tba. 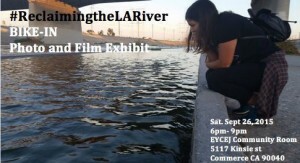 EYCEJ youth presented a photography and film exhibit focused on reclaiming the dignity and respect of the LA river for the South LA river communities. For more pictures visit our #ReclaimingtheLARiver Bike-In Photo and Film Exhibit Album!